Picket Fence Studios FORGOT TO SAY THANK YOU Clear Stamps f112 at Simon Says STAMP! f112 This item is on reserve until If you would like to reserve this item now, you may purchase it now with the rest of your order. We will hold your order now and ship your entire order as soon as this item is back into stock. If you would like your order to ship now, please place this item on a separate order. Success, Picket Fence Studios FORGOT TO SAY THANK YOU Clear Stamps f112 has been shared! Includes 4 stamps. Bouquet in vase is approx. 3.75 x 3 inches. Once upon a time there was a girl who needed to color stamp, and play with paper to wash the stress away from teaching elementary school in south Louisiana. Even though she loved her children dearly, the girl was pulled into the creative world of cardmaking, altered art and scrapbooking. After eighteen years of sitting on the floor teaching children to read and watching them grow, she left it behind to teach on the road. Eight years later, Picket Fence Studios was born from the determination that she could succeed in manufacturing her own line of stamps, inks and paper. You see, she had two secret weapons all along- her husband and mother-in-law. They believed that she could achieve her dreams. 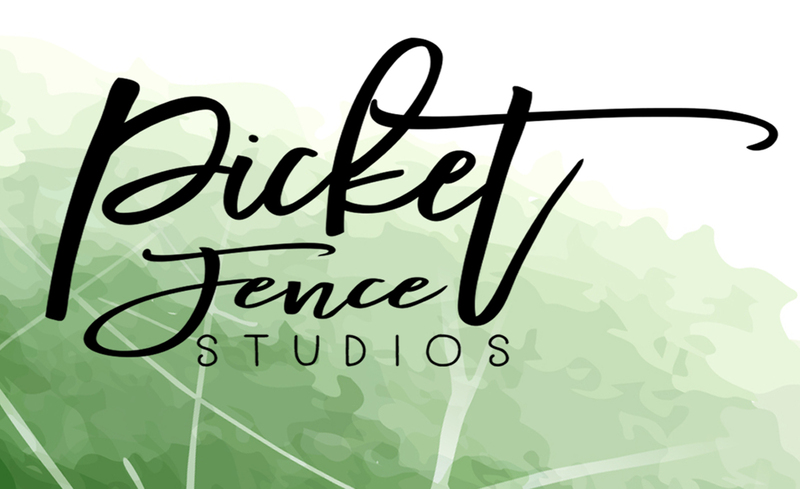 Picket Fence Studios is a small family owned/operated business run out of Cajun country in the most southern part of Louisiana.